Hair Club Boston is located in a 20 story building within the triangle of Summer, Bedford and Kingston Streets. The entrance is clearly marked on Summer Street with the number "99" on glass doors as well as large flags on either side of the entrance noting the address. PARKING: There are a few parking garages nearby. 99 Summer Street has parking (via Kingston Street), but availability is limited except for Saturdays. We offer $2 off at the Lafayette Parking Garage at 1 Lafayette Avenue (under the Hyatt Hotel and Macy's). Please bring your ticket with you to Hair Club so we can stamp your ticket for the discount. PUBLIC TRANSPORTATION: There are multiple options for public transportation depending on where you are coming from. Take the Orange or Red Line to Downtown Crossing. Go to street level and take a left. This is Summer Street. 99 Summer Street will be on the right hand side about two blocks down. Take the Blue Line, go to State Street station. Exit station follow Devonshire Street approximately 5 blocks to the intersection of Summer Street. 99 Summer Street will be across the street in front of you. IMPORTANT NOTES: When using GPS use zip code 02110. From the intersection of Washington Street and Summer Street head down Summer Street (alongside Macy's) past Chauncy Street, then Kingston Street. Kingston and Lincoln streets. Upon entering the building, please inform the desk you have an appointment at Suite 1140A. Please bring an I.D. to get into the building, you will not be able to access the building without a valid I.D. Proceed to the 11th floor via the lobby elevators. Saturdays you must press the buzzer at the entrance door to allow the person at the desk to let you in. If the person at the desk is not present, call 617-772-9600. From the parking garage go straight down Bedford Street cross over Kingston Street pass the Good Life on left look for Strega coffee shop. The entrance to 99 Summer Street is next to Strega. 99 Summer Street will be on your left. At 3rd traffic light turn left onto Kingston Street. Turn right at traffic light onto Bedford Street. Entrance to the Lafayette parking garage will be in front of you. From parking garage go straight down Bedford Street cross over Kingston Street pass the Good Life Restaurant . Look for the sign on side of the building for 99 Summer Street even though you are on Bedford Street. I've been coming to Hair Club since the middle 1980's. The service is consistently excellent. My hairdresser Angela always makes certain the system is properly fitted and cut and I love the fact that if there is any issue I can come by for a quick fix. Very satisfied with Hair Club and how I look and feel! I want to commend HCM management for having such people like Angela, Ed, and Nick on their staff. These individuals have exceeded what is expected of team memebers in an organization. They are very professional, personable, and skilled in what their endeavors involve. Hats off to all these wonderfull people. This company is all i need.Good location,great management,great service.Everything works like in swiss watch. Great service with great quality!!! Thank you Gary, Lydia, Nick, Ed and all the wonderful staff of Hair Club!!! Your support, love and hard work is tremendous. I am very happy to be a part of this wonderful family!!! Anonymous. 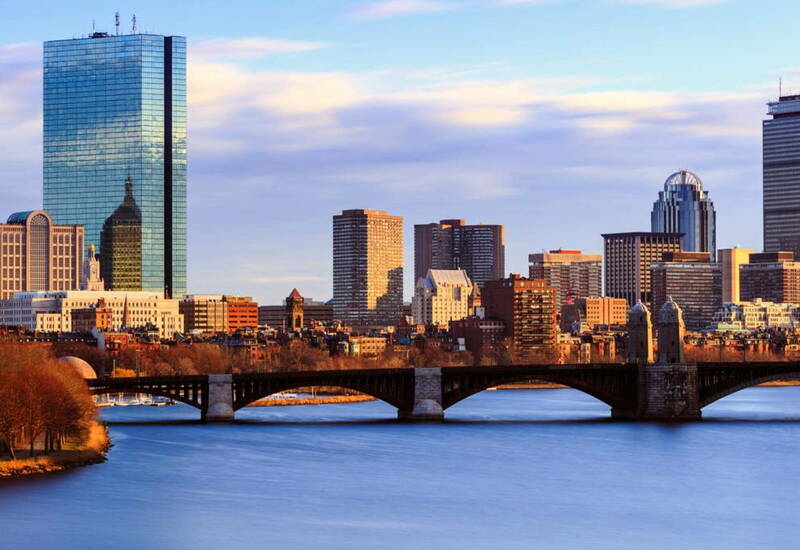 I've been a client since 1982 and I've worked with many technicians at the Boston facility. In all those years I've never had a single bad experience . How's that for customer service??!! I work mostly with Daisy now and she's simply the best. I look forward to seeing everyone who works there; talking sports with Nick and getting the latest joke from Ed to share with my co-workers. Boston is not the closest store to where I live but I'd never consider going elsewhere. Boston Haiclub is the best. When you walk in the door you see Nick with a big smile and his friendly manner. Nick is very helpful witn appointments and products, and notifies your hair specialist you have arrived. Daisy B is my hair specialist who has such a great talent with hair styling,cutting and color. I always walk out of there feeling great,that I look my best. Her friendly personality makes you feel comfortable and her interesting conversation makes the time fly. I couldn't amagin seing anyone else. Ed always has a smile and a great story. He is able to convey all the advantages of the diffent levels of service so that you can choose the best one for you. Plus the new Boston Office is muck more private and looks so new and nice. I would like to thank Ed,Nick and the staff for 35 years of great service. A special thanks to Janeen for always doing an unbelieveable job with my hair. It is a pleasure to work with her. I have been a Hair Club (Boston center) customer for almost 4 years and always appreciated Miggi, Ed and Nick professionalism. They really take the time to listen to your concerns and make each and every visit enjoyable. Miggi is a great hair stylist and has been very instrumental in improving my looks! I want to add a story to my comments above. Someone at work recently remarked on my hair. She said something to the effect of "your hair looks great lately, are you letting it grow out?" And "where do you go for styling?" I informed her that I go to a very exclusive salon in Boston - Hair Club for Men. She asked me why I go there, she thought that place was for "bald men". I responded with "they not only do a great job on my hair but I, too, am a "bald man". She said "yeah, right, really, why do you go there?" I had a really hard time convincing her that my hair was the result of a high tech "system". She was extremely impressed with not only the results but that I cared enough about my appearance to have actually done something about it. This woman is a cosmetologist and very attentive to details about people. And she had no idea my hair was not natural, even after I told her (and we have worked together for several years). Just more kudos to the folks at Hair Club Boston. I have been (and still am) a member of the Boston Hair Club for Men &amp; Women for almost 30 years! My hair stylist is Angela and she is an exceptionally wonderful person and has an excellent manner in the way that she attends to my every concern and need when it comes to my hair care and grooming. Furthermore, she is a very pleasant person and I always look forward to seeing her each session to attend to my hair care. I feel that she is like a member of my family now because I've known her for almost 30 years and the fsct that she genuinely cares about me and my welfare and daily concerns. Mr. Ed Duquette is an extraordinarily competent manager and I have always been very impressed with the manner in which he has been attending to any problem which I present to him regarding any hair system problems and concerns. furthermore, he is an excellent listener and shows a genuine concern to take care of any problem I am concerned with. He has an exceptional pleasant manner and I consider him a really good friend. It's a real pleasure to come to know these two very wonderful (Angela and Ed Duquette) people! I have been a member of the Hair Club of Boston for almost 30 years! I've known Angela almost all those many years and she is an exceptionally wonderful person to know. She is always very pleasant and extremmely easy to get along with. I've never had one moment in which there has been even the slightest disagreement concerning my hair needs and problems. She has an excellent, understanding manner that few people have and is very competent in her work and the manner in which she attends to my hair care. I always look forward to come to have my hair systems attended to and am extremely pleased with her work! Mr. Ed Duquette is an exceptionally competent manager and has a excellent, very pleasant manner in which I genuinely feel that I am a very important client.In fact both Angela and Ed Duquette have become good friends of mine and look forward to seeing them. It's always a pleasure to know these two woonderful people! I have been a client for 30 years and have had wonderful experiences. For the last 12 or so years I have been working in Boston with Angela, Janeen and Ed Doucette. They are always courteous, avaialable and professional. At HCM Boston,they believe and fully understand that the hair we have is not ours and will never look totally natural, but they do their level best to make it look as natural as humanly possible. Lastly, I have to mention how pleasant and professional Nick is at the front desk. When you call to re-arrange an appointment or let him know you are running late, he is always personable and professional! I have been a member for over 20 years and seen improvement after improvement. Thanks to us veterans all you new members will enjoy all the new pruducts a services at out expenses, lol. Thanks HCM. I am proud to say I have been a Hair Club client for over 15 years. The professionalism and talents are unmatched. The new digs are amazing. Everyone there makes you feel like you are the most important client to them as well as like one of the family. They place privacy and dignity above all else. I would like to echo a sentiment stated above, that is, Ed Duquette is truly a great asset to the establishment. I particularly enjoy running into Ed and his family on those occasions when we cross paths vacationing in Florida. I work primarily with Carol, occasionally with Angela. They are both extremely talented, enjoyable to work with, and ALWAYS do an excellent job on my hair. I never worry about what my hair looks like when I am leaving after an appointment because I am confident it is perfect. Nick is awesome as the front man and he has a tough job, but manages to pull it off seemingly effortlessly. And where would we be without his appointment reminders? In summary, I am very happy that I made the decision all those years ago to attend the free consultation. Was one of the best decisions I have ever made. The Boston Hair Club is comprised of exemplary people who make each and every encounter memorable and enjoyable. As a 25 yr client I strongly recommend HCM.Boston..Over the years they have continued to improve the quality of the 'systems'..So much so that a neighbor came to me looking for advice on his receding hair line....I had to convince him that he did not have a hair loss problem that I could assist him in, because my hair was in fact a 'system'' applied weekly....To this day he does not believe me...try as I might to show him he could not see the seams in the back or front...Kudo's to the exceptional Daisy B...Week in and week out she consistently achieves the mark of excellence..coupled with the professional customer service received from Nick and the tenacious pursuit by Ed to insure customer satisfaction...HCM Boston leaves No room for improvement.. The new facilities are great! In a business everything starts from the top so at the top Ellen W. is a great leader and really knows how to take care of business. She has a great head on her shoulders. I work with Daisy and Angela. Daisy is not only major talent but she really knows how to make clients feel good and that's half the battle. Daisy is also very innovative in coming up with new hairstyles. Angela's flexibility is amazing, she's extremely talented and accommodating. She's so good that she'll never say no and take any client at any time no matter what her burden is. I've worked with all stylists here and they're all different, but great in their own way. One thing about Boston they function like a family and once you're there you feel apart of it. The most important part of the business is the first impression you get when you walk through the door. You guys are lucky to have Nick as the first person a client sees when they walk through the door, he really knows how to take care of business. He's a master at setting up the appointments, nothing ruffles his feathers, and he always greets you with a warm smile and makes you feel good. Ed Duquette has a remarkable personality and a great asset to the club. He knows how to sell and at the same time knows how to make you feel like a king. Ed has a great heart and you can feel it; an extremely valuable man on the Hair Club team. Beatriz should get an award for her great work in the color room. She became a master under the great teachings of Angela Flavin. The bottom line is the Hair club is made up of a wonderful group of people that make it truly a pleasurable experience. Steve you're a lucky guy! I am highly satisfied with the professionalism and dedication from the Boston location. I've been a client for over three years and every cent has been worth it. From Ed's smiling face whenever I walk in to Nick's reminder phone call I have never felt un welcomed or had an unconfortable visit. Of corse my hair stylist Janet makes my visit over the top. She listens to concerns I have and always works hard to make sure I look and feel good when I leave. Kudos and keep up the great job! Till that magic pill is created you will have my business and gratitude!!! Carol is the best. Great at diagnosing any problems and getting the job done. A plus! I have been a client for 25 years with Hair club and very pleased with the service I have received from most recently scheduling service appointments with mostly recently Nick to have my hair serviced professionally with Lydia and Miggie and also working with the client Rep Ed in purchasing new Hair systems. Everybody at the Boston staff is very nice and cares that you have the best experience and they are always there if you have questions/concerns etc.....The customer service that I have received at this location has been excellent! Angela, my stylist, is really great, and Nick at the front desk is very accommodating. A great place in the heart of Boston. Hair Club is the BEST!!!!!!!!!!!. The best decision I have ever made was joining Hair Club! After using Rogaine and Nioxin for 9 months and not getting the results I needed, I decided to invest in extreme hair therapy, which was recommended to me by a friend who does the treatments and got his hair back. In just 2 months I started seeing results. 5 months later I have no visible hair loss and even my receediing hair line is filling in. My wife and I are so excited with the results that we got her brother to join. I started with a 6 month program, but now that I see results I am absolutely rejoining for another year. I would definitely recommend the full year to anyone that is considering joining hair club. This is something that you will not regret! -Tedd R.
When I first saw the television commercials, I gotta admit I was very skeptical. At my initial consultation I was able to meet with a client in order to see the process and discuss common concerns. Since joining Hair Club, I have received incredible positive feedback. - Robert L.
I am not to aware of this specific club but i have known in the past from friends that to beware and make sure you check out the place and all their techniques before you decide to have any procedure because they can be very expensive and very inefective at the same time so I would reccomend you have the place checked out make sure it is reliable and even consult with your personal Dr about some choices they may have for you that are alternatives to some other things that may or may not work.